With the Bell Table, ClassiCon has, by many accounts, created a design classic, something their name implies. As the licensed producer of the work of Eileen Gray, their reputation confirms that. The beguiling character of ClassiCon’s Bell Table by Sebastian Herkner derives from the exquisite inversion of material function with metal, traditionally taking on the role of support, functioning as the top and the often used glass top blown into a bulbous base. This uncharacteristic performance of material is mimicked by the craft production employed by ClassiCon, a company whose reputation has been built upon its excellence in machine production of the 20th century’s most celebrated designs. 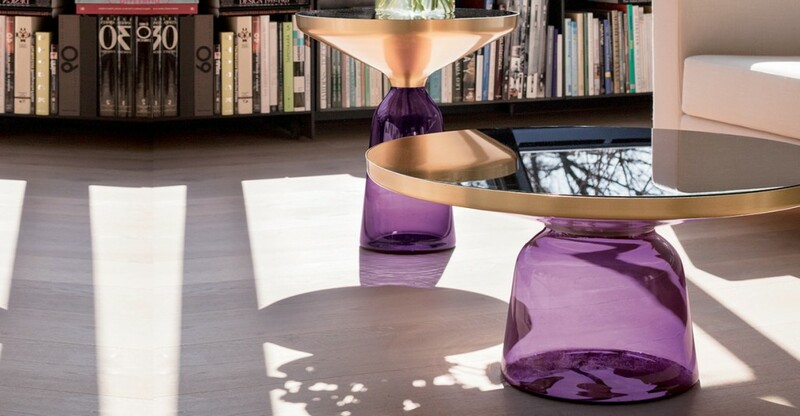 The coffee table and side tables are produced in a variety of glass colors and material tops. The violet and blue glass hues sit next to copper or brass forming a curious and seductive composition that make the tables appear at once wholly contemporary and also something gathered from the past, a three dimensional poem, like a beautiful memory that may be authored by the past or a dream once had. The manufacturing excellence of München based ClassiCon is second to none. Their selection of the highest grade materials and manufacturing precision guarantees that each and every piece that carries their logo, carries the mark of excellence. 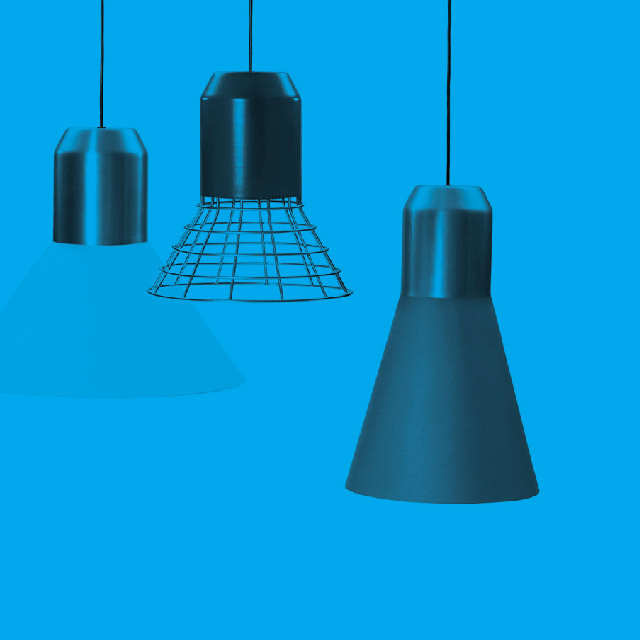 To see more of the hand crafted production of these unique pieces, view the clip below or visit Arkitektura to see them for yourselves.